Okay, I can't bottle my excitement any longer. Portraits DO exist, and my 6 year search is over. 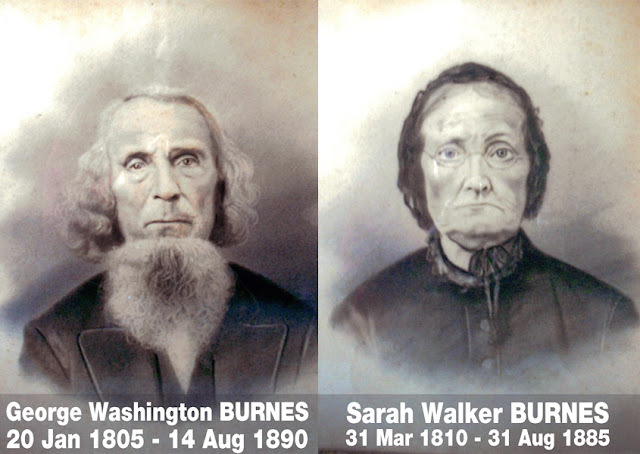 Presenting... George Washington BURNES, & Sarah Walker BURNES my Great, Great, Great Grandparents. 13 children, married 55 years, Christian, 700 acre farm, Hope Indiana, Norristown Cemetery. A HUGE Thank you goes out to Gary Ziegler a 4th cousin from Indiana for these photos :) It's so great to finally see their faces 6 years after I found them. Thanks to facebook and the Internet I was able to track down distant cousins who have original photos of our ancestors. 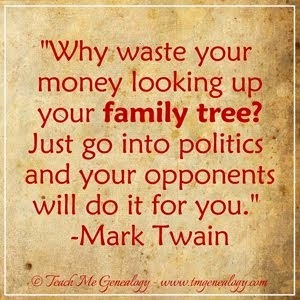 GENEALOGY IS TRULY AMAZING!!! So how did I find these very old pictures? My #1 Secret...Distant Cousins!! After attaining hundreds of pictures of ancestors through distant cousins, I can promise you that this will be the most reliable source to retrieve those old photos for yourself and family. Have Fun! MY TOP 7 TIPS for finding old photos. Find Distant Cousins!! One way to do this is through genealogical message boards found at www.rootsweb.com, I tracked down so many distant cousins on this site. Use Google Social Networking Sites like Facebook, Twitter, LinkedIn, Instagram, Flickr, Photobucket, blogs etc, to search for family members. While I was searching for a sibling on Facebook, I came across a person with the same name as my brother that lived close to where my ancestors had lived. After a brief facebook conversation we confirmed that we are 5 cousins, and share the same GGG-Grandparents; click here to read that first conversation between us. Try it. Do a search for one of your ancestors names and see who it pulls up. Search Google Images Do a simple google search for the ancestor(s) that you are looking for and click on "images" at the top so only google images show up, which speeds up the time and allows you to look through images only. Take a Trip! I went back to Hope, Indiana where my ancestors had lived for many generations. While there, I met up with distant cousins for a day at the Cemetery. We also toured the city together; like the old homestead of our GGG-Grandparents, we visited the courthouse, the Indiana State Library, the police department, the antique shop and local landmarks. On this trip, I was able to get many pictures of original photos of our ancestors. I made sure to document all the pictures I photographed. Get a local phone book where your ancestors lived. It has worked every time for finding living relatives. Every time I go on a Family History trip, I get a phone book from that city. Even if you can't travel there, call up the local library and ask if you can have their old phone book and offer to pay the shipping. 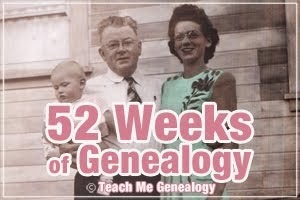 Use www.Ancestry.com even if it's only to sign up for a trial period of 14 days. You can browse through and share millions of old photos from family members. This is also how I found hundreds of living relatives. You'll be amazed how many relatives you have out there once you start looking on this site. 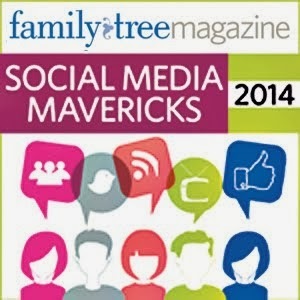 Create a family history website or blog. 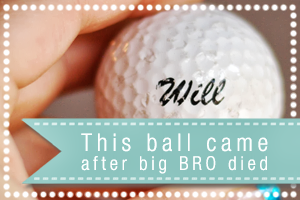 Get your information out there, so relatives can find you and share their photos when they find your website/blog. I have a new relative every week contact me about my family website and confirm that we are distant cousins. Because I have posted all the family photos to my family website, they are so grateful, and they share their photos with me in return. 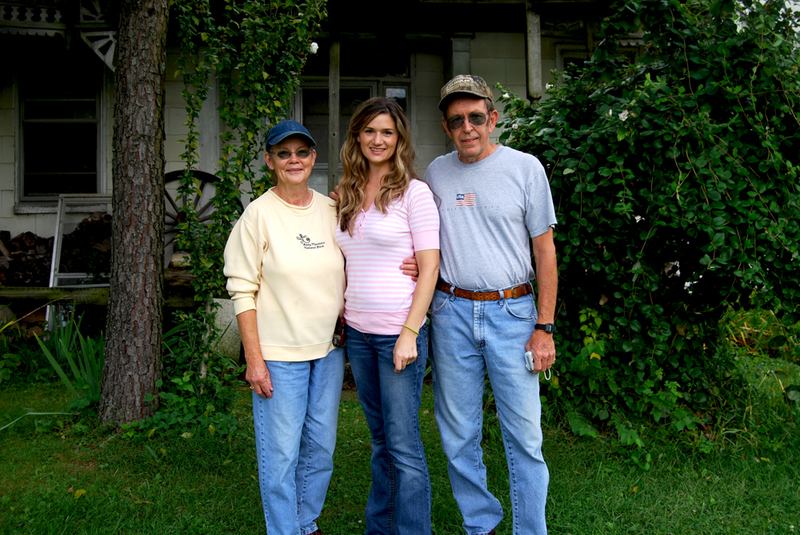 I use Blogger to host my Family History site, www.myburnesclan.com. Blogger is free, and it's owned by Google which means every post you make will be picked up by the Google search engine. Start Sharing!! Share all your information first, and others will feel comfortable sharing their info with you. If you are meeting a relative in person for the first time, ask if they have any pictures or family records you could look at. Always come prepared with a camera to take snapshots of everything. I have learned that cameras do a better and quicker job than scanners. If you are meeting a relative over the internet for the first time, send them pictures of your ancestors and ask them if they have any photos as well. 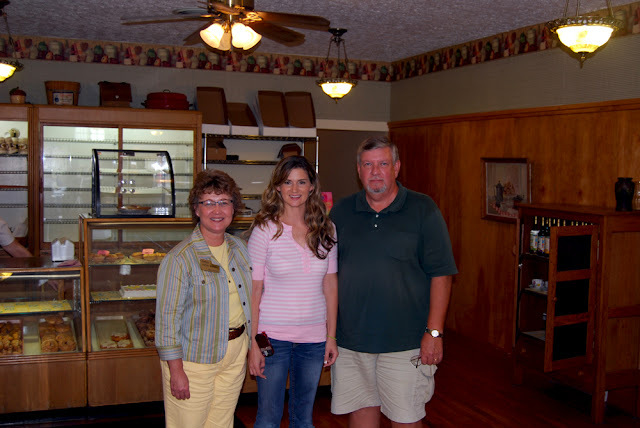 Take a look at the highlights from my Family History Trip to Indiana. 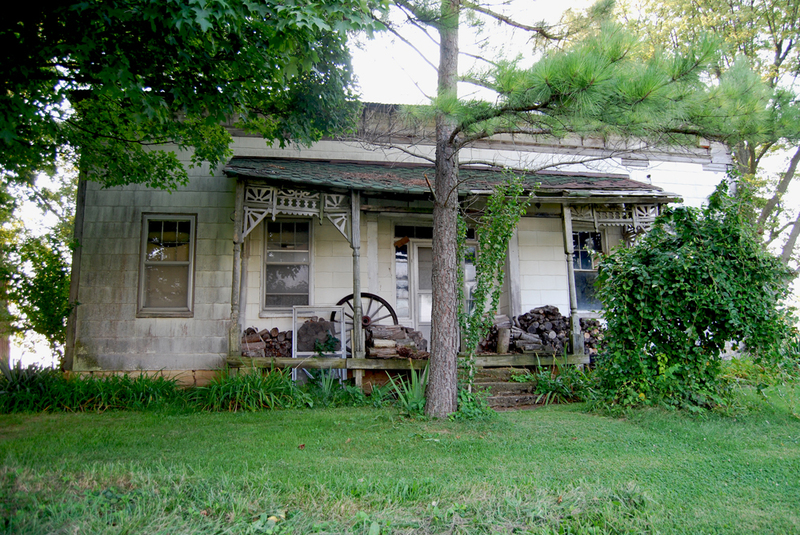 My GGG-Grandparents home in Hope, Indiana built in 1836 and yes, it's still standing. 4th Cousins: Ronnie, Me & Gordon in front of our GGG-Grandparents home. Here I am with Cathy & Gordon Burnes (4th cousins) at a local deli in Shelbyville, Indiana. 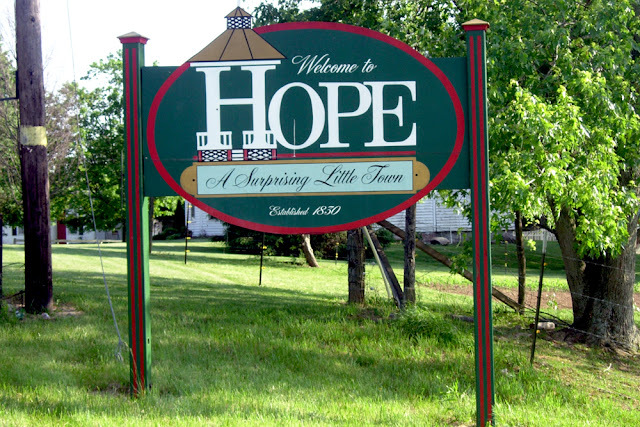 Hometown to my Burnes ancestors; Hope, Indiana. 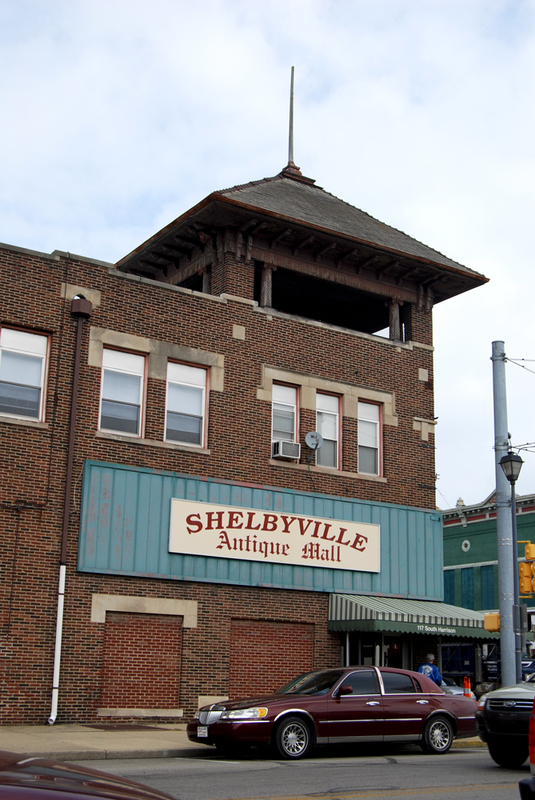 The Shelbyville, Indiana Antique store where I found some really neat things. Good Luck on finding those living relatives and "Connecting The Dots". Meg, I am so excited!! You keep going and things will literally start falling into your lap. Just be careful of distant cousins who turn out to be cyberstalkers. It's better to have a dedicated genealogy website or Facebook page to weed those type out then to allow them in right away. That was my sad first experience with 'meeting' some distant cousins on the internet who had old family photos. I'm so sorry that was your first experience. I guess I've been pretty lucky, because all my distant cousins have been amazing. How exciting!! I am sure those ancestors are buried in the Norristown Cemetery there in Shelbyville. 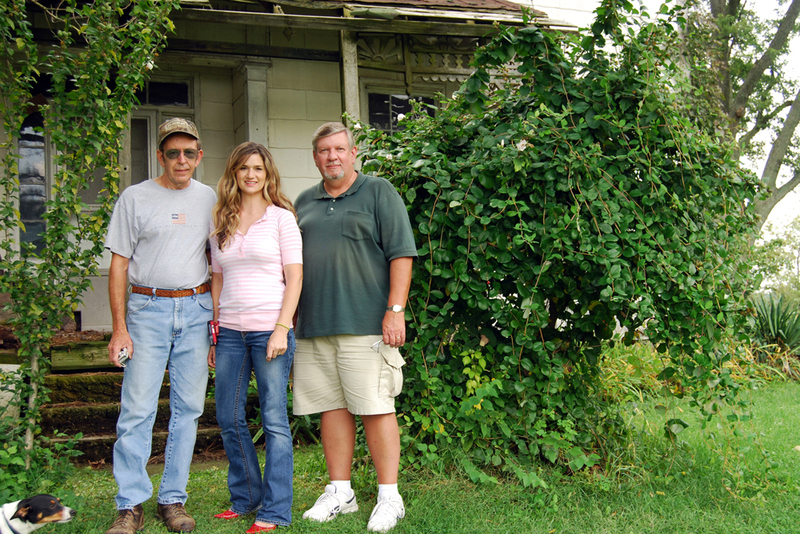 Also, there might be a chance that we are related too ;) Most of my ancestors are from Shelbyville and Hope, Indiana. Thanks for sharing this. Five of your suggestions have also worked for me. Personally, though, I find Rootsweb's WorldConnect much better than Ancestry's online family trees. LostCousins and CuriousFox are other useful sites for finding 'new' relatives. Thank you Judy! I really appreciate these other great resources that you listed here for everyone to see. I can relate to this story more than I can say. I started researching my family tree in 2000, just after my late grandparent had past away, I have "met" numerous distant cousins online and thanks to their generosity, have copies of several ancestors; some I can see myself in their faces. I love genealogy and history!! What a great blog post, Sarah! Your tips are all very practical and accessible. I have found what you said to be very true. 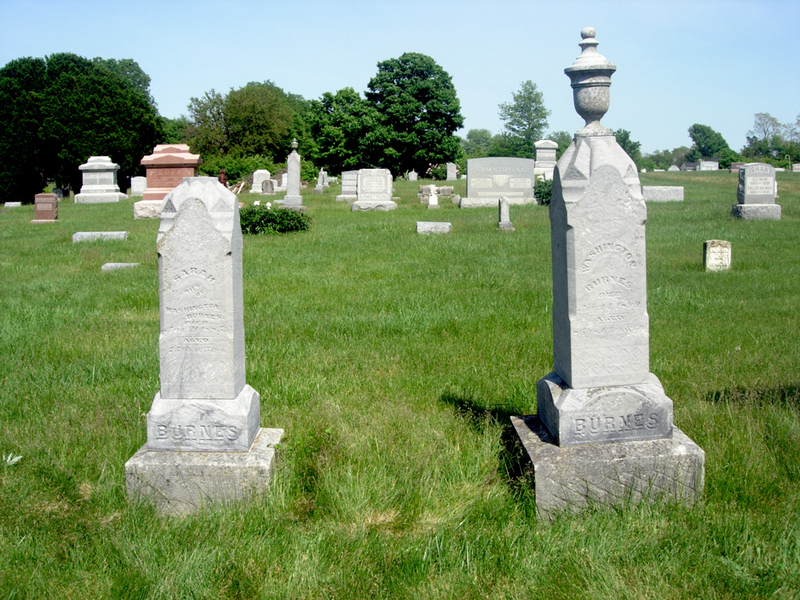 Thanks to social media, FindAGrave and my own blog, I have photos of people I never would have had courtesy of cousins. Hi! I saw these pictures of George Washington Burnes pinned on pinterest, and I recognize these names as part of my family line, I'd live to get stories and pictures that you have from them, and potentially help you with anything I can do! Thanks! Free and and anyone can join. I am adding so many family photos and want everyone to know where to look for them.